Imagine a meeting of football fans from all over Germany. They would gather in the stuffy backroom of some dive bar, have a few pints and talk about football. Perhaps talking isn’t the most accurate account of their conversation; it’s quarrelling. They would argue all night about whose club has the most loyal fan base, the most successful history, the most prolific striker – you name it. At this point, the whole lot would unanimously rejoice: “1860 Munich, of course!” And then they would all laugh heartily, recounting the countless stories of how fourth-tier 1860 exposed themselves to ridicule over the past 15 years. 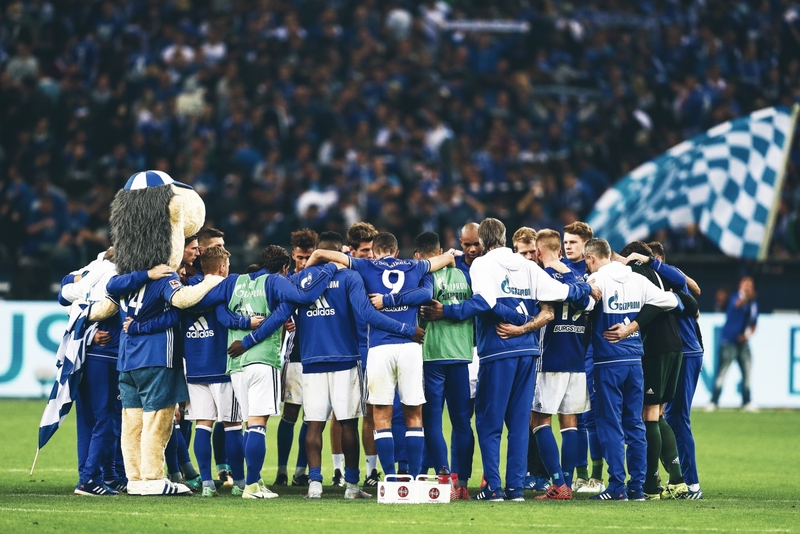 Even the fatalistic Hamburger SV fan, sitting depressed in a corner for most of the night in light of Hamburg’s imminent first-ever relegation from Germany’s top flight, couldn’t stifle a chuckle, finding comfort in knowing that there are always clubs worse off than your own. If I was present at that meeting, I would love to join in the merriment. Unfortunately, I couldn’t. To begin with, I happen to support the club in question, 1860 Munich. Once a renowned side, winning both league and cup titles in the 1960s, even surpassing local rivals FC Bayern, die Löwen – nicknamed after the lion on the club’s crest – haven’t played in the Bundesliga for 14 years and plummeted to the non-league Regionalliga Bayern last year. To add insult to injury, the club did so in the most ridiculous way possible, squandering money all over the place and virtually circumventing the sacred yet crumbling 50+1 rule. Despite that, the club still has a huge following: with over 22,000 club members, 1860 rank among the top 15 in Germany. Even over the cursed last few years, home attendance rarely dropped below 20,000, with thousands of fans regularly accompanying the team to away games. So where did it all go wrong? 1860 Munich’s story shows how things can go south once a club ends up in financial trouble and succumbs to financial temptations of external investors. It is impossible to recount every scandal that took place on the premises at Grünwalder Straße – there simply have been too many culprits contributing to the insanity. Instead, let’s focus on why 1860 nearly went into administration and how the disastrous relationship between the club and its majority owner, the infamous Jordanian investor, Hasan Ismaik, unfolded. After the 1999/2000 season, 1860’s supporters were in the best of spirits: An experienced squad, including Bulgarian veteran Daniel Borimirov and German World Cup winner Thomas Hässler, had just finished a sensational season, beating Bayern twice in the Bundesliga and qualifying for the Champions League playoffs against Leeds United. In the end, 1860 didn’t stand a chance against the Yorkshire outfit, losing 3-1 on aggregate, but the club’s future looked promising nonetheless. 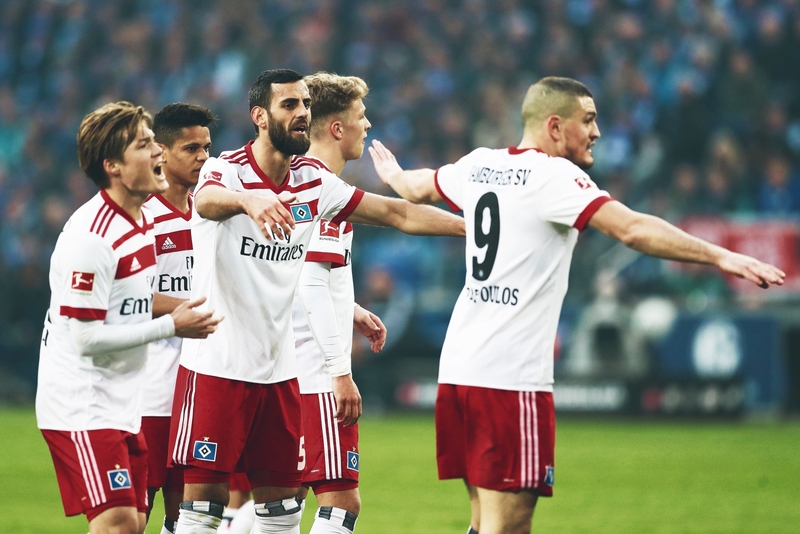 Read | Why don’t Hamburger SV challenge the Bundesliga’s mightiest clubs? Then, in 2001, president Karl-Heinz Wildmoser took a fateful decision, controversially teaming up with superior rivals Bayern to build a new stadium. It was agreed that both clubs would become equal shareholders. In 2005, the Allianz Arena, seating 66,000 and bearing an unflattering resemblance to an inflatable dinghy, was officially opened. However, by that time 1860 were already playing in the 2. Bundesliga, relegated in 2004 after substitute Francis Kioyo – with the score tied at 1-1 – infamously missed a penalty against Hertha BSC in the 89th minute. The club has been in dire straits ever since. The Allianz Arena turned out too big and expensive for a second-tier side. The club was disillusioned, directionless and barely escaped relegation in the 2005/06 season. What’s more, 1860 were forced to sell their shares of the Allianz Arena for €11 million to Bayern as they desperately needed money. Subsequently, the club paid Bayern a yearly rent of about €3.5 million – a sum that couldn’t be offset in the second division. Over the course of the 2010/11 season, it became public that the club was dead broke. In March 2011, then-president Dieter Schneider announced they needed €8 million to avoid bankruptcy. At that time, Hasan Ismaik first appeared on the scene. Ismaik, 34 years old and a self-made millionaire, making his fortune in real estate and oil, didn’t have any experience in sports business but announced he wanted to save the club from oblivion. After lengthy negotiations, he bought 60 percent of the club’s shares for €18 million, thus rescuing 1860 from insolvency, and becoming the first foreign investor in German football. The majority of fans weren’t too happy about the state of affairs, but since the club wasn’t particularly spoilt for choice, they grudgingly accepted the takeover. Attentive readers will now prick up their ears: 60 percent, doesn’t that interfere with the 50+1 rule? Yes, it would indeed, but of Ismaik’s acquired shares, only 49 percent are eligible to vote. That way, 1860 technically comply with German football’s fabled 50+1 rule, guaranteeing the club has the final say. At least on paper. In all fairness, Ismaik took some reasonable decisions at the start of his investment. He affirmed that he didn’t want to meddle in day-to-day operations and would refrain from taking part in transfer decisions. However, it quickly became apparent that Ismaik had a propensity for hubris, including boasting that he would take 1860 to the Champions League within a couple of years. Expectably, that would never happen. Ironically enough, 1860 have never even been in a promotion spot in the second half of the season since 2005 – and that wouldn’t change after Ismaik became a shareholder. The relationship between Ismaik and 1860 was ill-fated from the very start. For a long time, the club’s executives refused to cooperate with Ismaik and only used him as a financial source, knowing they will always have the last word thanks to 50+1. Whenever the club was low on funds, they would flatter Ismaik and tap him up for more money. Ismaik reliably granted this – about €60 million on loan since he became majority owner in 2011 – but he didn’t gain much influence in return, which understandably disgruntled him. Ismaik had occasional outbursts of emotion, such as in 2013 when he called president Dieter Schneider a “dishonest, old man”. At regular intervals, Ismaik and the club would quarrel over personnel decisions and fans grew accustomed to the pitiable fact that the next power game always loomed large. Yet the club fairly abided by the 50+1 rule and remained in the stronger position. Schneider’s successor, Gerhard Mayrhofer, finally tried to cooperate with Ismaik but they fell out during the 2014/15 season when Mayrhofer justifiably wanted to sack chief executive Gerhard Poschner. Despite considerable cash injections by Ismaik, Poschner managed to compose a despondent, incoherent squad that only just evaded dropping to the third division by scoring a winner in the 94th minute in the relegation playoffs against Holstein Kiel. Mysteriously, Ismaik opted to stick with Poschner, which left Mayrhofer in a catch-22 situation. Technically, the club could dismiss Poschner thanks to their voting majority, but then Ismaik might withdraw his loans, which in turn gave the Jordanian the upper hand. Mayrhofer desperately urged Ismaik to sell his shares, but eventually failed and resigned in June 2015. Two months later, the club, and Ismaik, suddenly agreed to demote Poschner from CEO to director of football, prompting Poschner to terminate his contract with the club. Consequently, 1860 were leaderless and dependent on a moody investor. In November 2015, Peter Cassalette was elected as the new president. That heralded the beginning of the end of the club’s time in professional football. Cassalette drastically changed 1860’s course, fully cooperating with Ismaik and granted him an abundance of power. More than once, Cassalette visited Ismaik at his residence in Abu Dhabi and said: “As far as I’m concerned, we’re friends.” His presidential role seemed to be all about keeping Ismaik happy. He became known as the ‘puppet president’. After narrowly escaping relegation in the 2015/16 season, Ismaik spent about €10 million signing new players in the summer transfer window – at times against the will of CEO Thomas Eichin – when he bought Brazilian striker Ribamar for €2.5 million and signed Portuguese winger Victor Andrade on loan. Those transfers were arranged by Ismaik’s confidant, Kia Joorabchian, an Iranian agent infamous for his shady business dealings. Ismaik boasted that the club would now push for promotion. The euphoria, however, quickly faded as every single one of the new signings flopped, and it swiftly became apparent that the squad was helplessly imbalanced. During the 2016/17 campaign, Ismaik occasionally dropped by in Munich. When he wasn’t around, the club refrained from taking any rash decisions. The Frankfurter Allgemeine Zeitung encapsulated this dilemma nicely: “At 1860, decisions aren’t taken when they are due, but rather when Hasan Ismaik happens to find the time.” But that doesn’t mean Ismaik was inactive – quite the opposite. From his home in Abu Dhabi, Ismaik tried to win over fans by setting up his own Facebook account, Ismaik1860. This social media platform, curated by a Swiss PR agency, was peculiar in many ways. Firstly, Ismaik and his advisers used clumsy, flowery language, which frequently contained spelling mistakes. Secondly, the page description labelled Ismaik1860 as a ‘circus’. Detractors said it was exactly that. It wasn’t until the end of 2017 that the info was changed to the slightly more fitting ‘Sports Club’. Content-wise, Ismaik repeatedly ranted about the team’s poor performances and urged fans to stick together, to which most supporters reacted with anger. Three months later, after a disastrous season, 1860 finished in 16th, meaning they had to play relegation playoffs against third-tier Jahn Regensburg. 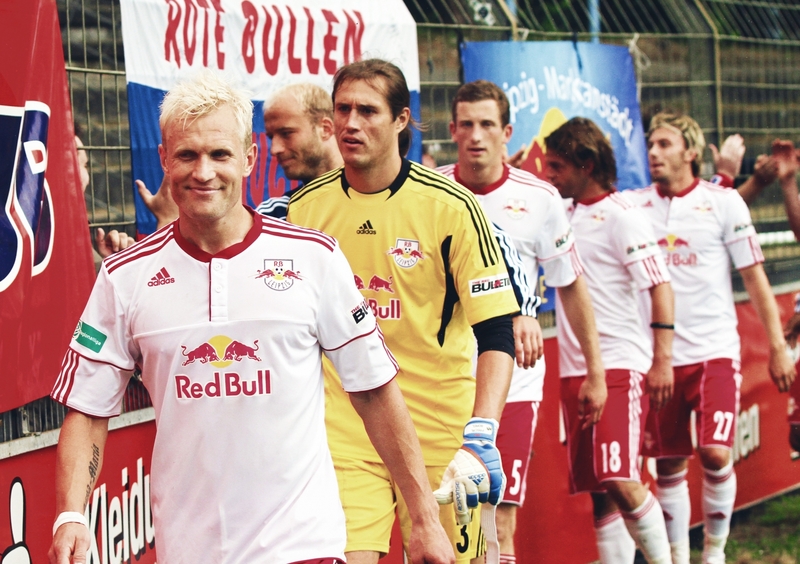 The first leg in Regensburg ended in a 1-1 draw. On 30 May 2017, the second leg took place in Munich. After conceding two goals in the first half, a demoralised 1860 side, who were notoriously at loggerheads with each other, deservedly lost 2-0. The atmosphere at the Allianz Arena – always detested by most fans as it belonged to rivals Bayern – was apocalyptic. In the final 10 minutes of the game, 1860s Nordkurve tore out countless seats and tossed them onto the pitch, bringing the match to a standstill. The police quickly intervened to contain the situation. Thirty exhausting minutes later, the referee blew the final whistle. After 13 years in the 2. Bundesliga, die Löwen were officially relegated. But 1860 hadn’t hit rock bottom just yet. A day after relegation, the well-informed Süddeutsche Zeitung revealed that Ismaik had blackmailed the club before the playoffs. He wanted 1860 to change their constitution to increase his power and threatened to stop his payments. The club’s executives were in a tight spot, and they tried to fulfil Ismaik’s absurd demands. However, they clashed with the 50+1 rule, so the club’s hands were tied. Ismaik didn’t back down from his initial demands and refused to pay the sum the club needed – over €10 million – to obtain a licence from German football association. That meant 1860 had in fact been relegated before the playoffs against Regensburg even started. Confirmation came two days later. On 2 June, 1860 announced they didn’t have the financial means to compete in the third tier, consequently dropping down to the fourth-tier Regionalliga Bayern. Forty minutes before the licence deadline passed, Ismaik sent a message to Süddeutsche Zeitung, containing only one digit: ‘4’. That was his way of demonstrating: ‘Look, if you don’t dance to my tune, I’ll send you straight down to amateur football.’ In the course of just four days, 1860 managed to get relegated twice. For even the most tolerant supporters, that was the final straw. Ismaik’s complacency was unbearable. 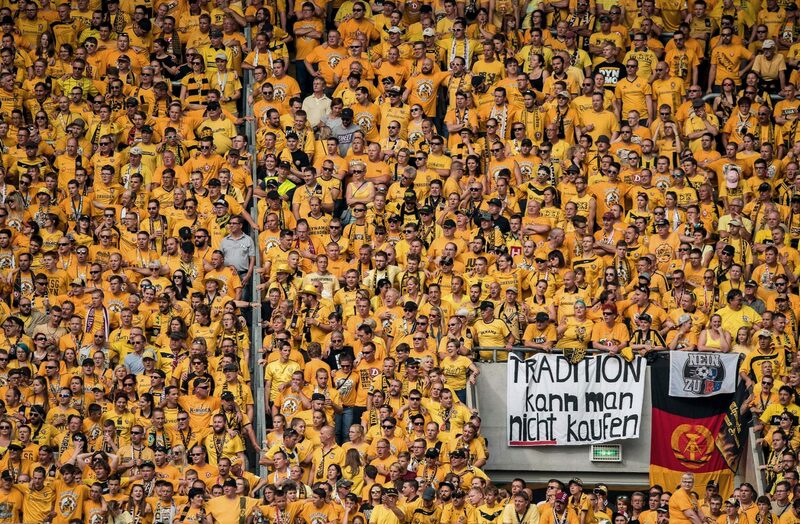 Under the reign of their incompetent majority owner, 1860 became the laughing stock of German football – and demonstrated why the 50+1 rule is crucial. If a single entity controls a club – and that ultimately happened at Grünwalder Straße during the 2016/17 campaign – it gets dangerous. Mind you, Ismaik held sway over 1860 without actually having the voting majority. If 50+1 was abolished, it would make it even easier for mad investors to cause havoc, which can be frequently seen in England. German supporters have always been extremely critical of external investors – arguably more than in any other European country. This attitude is deeply embedded in the history of the fan culture. Football teams in Germany mostly started off as amateur gymnastics clubs – TSV stands for Turn- und Sportverein, meaning gymnastics and sports club – and those clubs were member-owned and always had a very democratic distinction. It wasn’t until 1972 that German football became completely professional, and only in 1998 clubs were allowed to set up companies and sell shares. At the same time, the 50+1 clause was implemented. So, over the past century, the original member-run mindset of German football hasn’t changed much. Unlike in England, members of German clubs still have a considerable say regarding their club’s policy – thanks to 50+1. 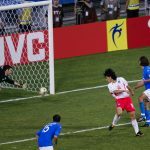 The rule has become increasingly diluted in recent years, with almost a third of Bundesliga clubs bypassing it due to exception regulations. Experts agree that 50+1 will eventually fall once serious attempts to abolish the rule are undertaken. In my opinion, which is shared by the majority of German football enthusiasts, this would be highly regrettable. The rule might prevent German teams from competing at the highest European level because external investors are reluctant to invest in them, knowing they won’t have the last word, but on the upside, 50+1 saves clubs from the megalomania and the arbitrariness of sole owners. A month later, he agreed to defer a €8 million loan repayment, thus saving the club from insolvency. For a moment this might seem magnanimous, but it was simply a rational decision. After all, Ismaik holds 60 percent of the club’s shares, hence it would have been a strange decision to push his own investment into insolvency. The fans, however, were unforgiving. At the club’s annual general assembly in July 2017, Robert Reisinger, who publicly opposed Ismaik’s policy, won the presidential election by a landslide. To top it all off, the majority of club members voted to terminate the club’s cooperative agreement with Ismaik at six months’ notice. This essentially meant that 1860’s members instructed the new chair to kick Ismaik out. Prior to the assembly, Ismaik filed a complaint against the 50+1 rule before Germany’s cartel office, which hasn’t been considered yet. It remains uncertain if it ever will. What’s more, it’s just a complaint – apparently, Ismaik isn’t entitled to file a lawsuit before a German court. According to the Süddeutsche Zeitung, he would ironically need the club’s consent to litigate his case – and that won’t happen. In November 2017, Ismaik secretly met up with Munich businessman Gerhard Mey, who offered to buy his shares. Mey reported that Ismaik “definitely wants to sell”, however he was rebuffed by Ismaik’s “astronomical price tag”. Apparently, Ismaik demanded €65 million, which amounts to what he has invested in the club since 2011, but is way above the value of a non-league club. Subsequently, Ismaik denied that he wants to sell his shares, criticising Mey for making the meeting public. In the week before Christmas, the club announced that terminating the cooperative agreement with Ismaik isn’t viable “at this stage and under the present circumstances”. Once Ismaik actually violates the cooperative contract, though, the club might be entitled to cancel it. President Reisinger said that Ismaik had committed himself to abide by the rules of the DFL – if Ismaik pursues his complaint against 50+1, this could potentially be judged as a breach of contract. In any case, 1860 will most certainly be aware of Ismaik’s dealings and take the chance if he slips. But at the end of the day, he who pays the piper calls the tune. It is unlikely that 1860 will get rid of Ismaik on their own accord. Furthermore, 1860 announced they don’t want to take any more loans from their majority owner, which Ismaik actually welcomes: “I’m happy that 1860 protects themselves financially. I’m proud of it, because I saved them.” At the end of January, Ismaik resigned from his position in the club’s supervisory and advisory board. His interests are now represented by his successors, Saki Stimoniaris and former president Peter Cassalette. Since then, the relationship between Ismaik and 1860 has been surprisingly peaceful. But make no mistake – it’s only a truce. 1860 are still deep in Ismaik’s debt but want to go their own way in the future, hoping he won’t call in his loans so as not to ruin his own investment. Ismaik, in turn, might await the fall of 50+1 – then he could seize full control of the club. This is actually stipulated in the cooperative agreement. Either way, the next power game is just around the corner. Personally, I can’t imagine Ismaik being around in five years’ time. He ultimately had good intentions – he wanted to take the club back to the top flight and be loved by the fans. But he proved to be unpredictable, short-tempered and ill-advised. The supporters’ confidence in Ismaik is irrevocably shattered, so he’d come off best if he sold his shares. There are enough potential buyers. Sadly, the downfall of 1860 Munich is entirely self-inflicted. The club committed an absurd number of mistakes. But the disgraceful relegation campaign and its aftermath is primarily Ismaik’s fault: He and his confidants compiled a disjointed squad and established a climate of anxiety within the club premises. This is why, on 6 March 2018, when 1860 faced TSV Buchbach in a packed Stadion an der Grünwalder Straße, the ultra group Münchner Löwen unfurled a banner reading: “Why 50+1 must never fall? We are the perfect example!” We are indeed. Let’s see what the future holds in store for Germany’s most eccentric club – it probably won’t be too long until the country’s schadenfreude is once again directed at Grünwalder Straße.